During the 1970s, when Kate Jackson starred as Sabrina Duncan on Charlie's Angels, the future looked rosy for the spunky, dark-haired actress. The ensuing years, however, have not been easy ones for Kate. She has faced three divorces, severe health problems, the 2009 death of her friend, Farrah Faawcett, and serious financial difficulties. Lucy Kate Jackson (also known as Catherine Elise Jackson) was born in Birmingham, Alabama on October 29, 1948 to Ruth (nee Shepherd), a homemaker, and Hogan Jackson, a wholesaler of building material. She has a younger sister named Jenny Jackson. In 1968, Kate left home to study at the prestigious American Academy of Dramatic Arts in New York City. 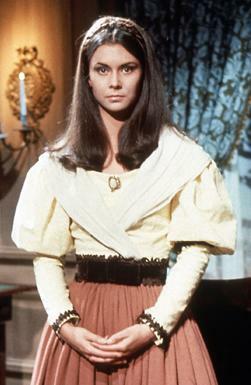 Her big break came when she was cast as a Daphne Harridge, a silent "ghost" in the popular gothic daytime drama Dark Shadows. chronicled the exploits of three novice police officers in an unspecified Southern California city. Kate's character was the concerned wife of Officer Mike Danko, an ex-marine (played by Sam Melville). Kate Jackson's portrayal of Jill Danko made her very popular with television audiences and she received more fan mail than her male castmates. Due to Kate's popularity with viewers, Spelling and Goldberg signed her to co-star with Jaclyn Smith as Kelly Garrett and Farrah Fawcett-Majors as Jill Munroe in their new series, Charlie's Angels. The series centred around the adventures of three glamorous undercover detectives who worked for Charles Townsend's private investigation agency. Charlie's face was never shown, but veteran actor John Forsythe provided his voice. Charle's Angels aired on the ABC network for five seasons, from 1976 until 1981. Although not warmly received by critics who dismissed it as lightweight "jiggle TV," the show was a huge hit with TV audiences. Kate Jackson and her co-Angels soon became household names. With her feathered blonde tresses and megawatt smile and swimsuit poster, Farrah garnered the most most attention. Kate was considered the brainiest of the trio and she was dubbed "the smart Angel." Unlike her co-stars, she did not prance around in bikinis and skimpy outfits. Flushed with adulation and fame, Farrah Fawcett-Majors decided to leave Charlie's Angels after only one season to pursue a career in feature films. She was replaced by Cheryl Ladd. who took on the role of Jill Munroe's younger sister, Kris Munroe. 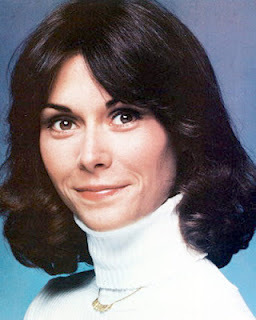 Kate Jackson remained with show until the finish of the 1978-79 season. By that time, she had had enough of Charlie's Angels and was eager to move on. Shelley Hack joined the cast as the newest Angel at the beginning of Season Four and it was explained that Sabrina Duncan had left the Townsend Agency to get married and raise a family. Due to scheduling conflicts with Charlie's Angels, Kate had been forced to turn down the Meryl Streep role in the 1979 hit film Kramer vs. Kramer. Streep was later awarded an Oscar for Best Supporting Actress for her performance in the movie. Kate's disappointment at giving up that plum role was one of the factors that prompted her to leave Charlie's Angels. During her last season on the show, Kate was extremely unhappy and frustrated. She described the series as a bit of fluff "so light it would take a week to get to the floor if you dropped it from the ceiling." On August 23, 1978, Kate married Andrew Stevens, an actor and the son of actress Stella Stevens. The couple eloped after a whirlwind romance. In 1979, they starred in a television movie version of Topper. based on characters created by fantasy writer Thorne Smith (Smith's work was made into a series of popular feature films and was turned into a 1950s television series starring British actor Leo G. Carroll in the title role). In their Topper TV movie (a pilot for a television series that was never made), Kate and Andrew played Marion and George Kirby, a couple who die in an accident. The deceased Kirbys return to their former home as a pair of fun-loving ghosts who shake up the lives of its current occupants, a stodgy banker named Cosmo Topper (Jack Warden) and his wife, Clara (Rue McLanahan). Working together, however, did not save Kate and Andrew's marriage. They divorced in 1980 and Stevens, now 57 years old, is a successful film producer and director. On May 1, 1982, Kate married New York City businessman David Greenwald in a poolside ceremony. The pair formed a production company called Shoot the Moon and Kate returned to television in 1983. Her new series, a spy-comedy called Scarecrow and Mrs. King, was produced by Shoot the Moon and it was very successful. 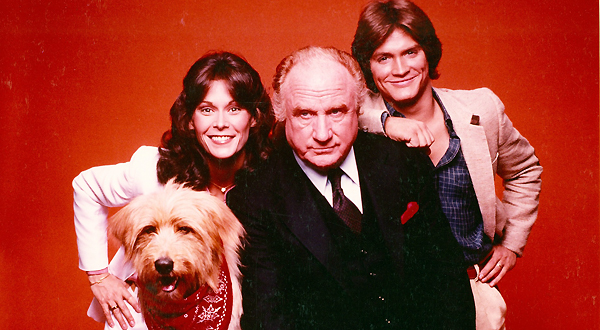 The show aired for four seasons, from 1983 to 1087, on CBS. Kate played the role of Amanda King, a divorced mother of two young children who lived with her mother, Dotty (Beverly Garland) in suburban Washington D.C. Her male co-star was Bruce Boxleitner who portrayed the mysterious Lee Stetson "Scarecrow," an agent for a secret government government organization called "The Agency." 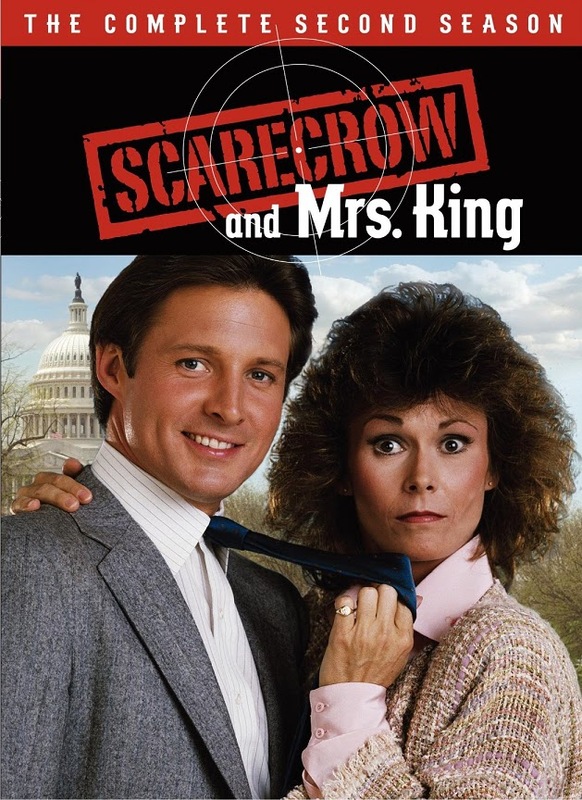 Although Scarecrow and Mrs. King had become hit series, Kate struggled with some daunting personal problems off screen. During the 1980s she was plagued with both marital discard and ill health. In 1984, her marriage to second husband David Greenwald ended in divorce. She would later tell People magazine that her first two marriages failed because "Both times I was looking for real commitment in all the wrong places." Kate Jackson was diagnosed with breast cancer in 1987. After undergoing a lumpectomy at a Los Angeles hospital (under an assumed name), she returned to the set of Sscarecrow and Mrs. King. Unfortunately, the cancer returned in 1989 and Kate had a partial mastectomy and reconstructive plastic surgery. Her former Charlie's Angels colleague, Jaclyn Smith, came to her support during that difficult time. From 1988 to 1989, after Scarecrow and Mrs. King had finished its run, Kate starred in a comedy called Baby Boom, based on the Diane Keaton film of the same name. Kate played J.C.Wiatt, a single Harvard-educated corporate executive who became an instant mother when a recently deceased English relative left a baby named Elizabeth in her care. The show flopped with viewers and only 13 episodes were produced before it was cancelled. Kate met her third husband, Tom Hart, while on vacation in Aspen, Colorado in 1989. Hart, the owner of a Utah ski lodge business, and Jackson wed in 1991 at their rented Brentwood, California home. The ring bearer was Tom's 8-year-old son, Sean, who became Kate's stepson. The marriage, however, did not survive and the couple divorced in 1993. In 1994, Kate underwent open-heart surgery after discovering that she had been born with ASD, an Atrial Septal Defect or hole in her heart that had not been detected earlier. In September of 1995, with the assistance of Rosie O'Donnell, Kate adopted a son, Charles Taylor Jackson. The adoption took place just two hours after the baby's birth. As 1998 drew to a close, Kate, disenchanted with Hollywood politics and gossip, decided it was time to leave Tinseltown and return to her Southern roots. She put her Brentwood Canyon estate on the market and purchased a 19th century country home in Keswick, Virginia. In 2006, Kate reunited with Farrah Fawcett and Jaclyn Smith at the Emmy Awards to pay tribute to Aarron Spelling who had died of a stroke on June 23rd of that year. 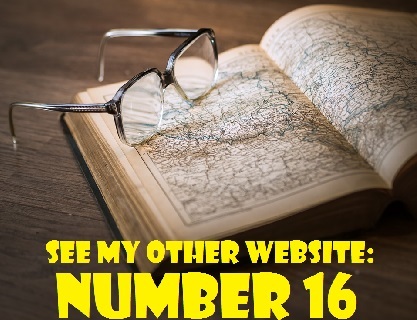 To watch a video of their tribute to Spelling, click on the link below. In May of 2010, Kate Jackson declared that she was in "financial ruin at the hands of the very person she entrusted with her finances." TMZ.com reported that the actress had filed a $3 million lawsuit in the Los Angeles Superior Court against her former business manager, Richard B.Francis, who was also the financial advisor to the late Farrah Fawcett. The website revealed that Kate had accused Francis of misleading her as to the health of her finances.. In court documents, Kate claimed that Francis was aware of her "extremely close" relationship with Fawcett and had used that information to snare her as a client. She also claimed that Francis told her that her net worth was $5.4 million when it was actually about $3 million. She alleged that he pressured her into purchasing an over-priced home in Santa Monica which she could not afford, assuring her that the property would never decrease in worth. Richard Francis defended his work with celebrity clients, describing his record as "impeccable." He predicted that the case would "end at the deposition stage" and that it would never go to court. As it tuned out, Francis' prediction was correct. In December of 2010, Jackson settled her lawsuit with him and TMZ.com reported that they had reached an undisclosed settlement. Lawyers for both sides expressed their satisfaction with the agreement. Now 64 years old, Kate Jackson has been working on a memoir. Titled The Smart One, it is to be published by Gallery Books. Its original release date of October 11, 2011 has been delayed until April 1, 2014. Her most recent acting role was in an episode of the crime drama series Criminal Minds. The episode, entitled "Honour Among Thieves," aired on April 11, 2007 and Kate played Ambassador Elizabeth Prentiss. Love Kate and hope and pray that she is doing well. I hope to see her on tv more. Maybe a SMK reunion? Kate is and was always the prettiest of the Angela to me. I, too, would love to see her on the big or small screen again. Smart and absolutely beautiful one. too bad that for whatever reason kate jackson and cheryl ladd didn't get along well, but i still think kate is a beautiful woman and i've enjoyed seeing her on tv thru the 70s and 80s, and she still looks great today! Would love to see kate and Bruce together again. I would like to see Kate and Bruce together again too.I thought they worked well together. Would love to see Kate and Bruce together,they were good together! I hope that book finally comes out!